While the summer and winter DreamHack events in Sweden are the most prolific, a series of smaller ones take place throughout the year. One of these was in Leipzig, Germany, this previous weekend, where Gigabyte used the opportunity to give press and consumers a closer look at its recently launched Aorus family of motherboards. We've already reviewed one Aorus motherboard, the Z270X-Gaming 7, but this was a change to look at the family as a whole and get a clearer idea of the feature set and positioning. There are six boards in total (not all are available in all regions), with prices in the UK currently ranging from £170 to £520. 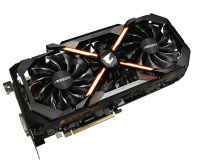 Launched with the Intel Z270 chipset, Aorus is Gigabyte's answer to Asus ROG and other premium gaming brands and will soon be expanded into other realms like VGA and peripherals to serve as the premium Gigabyte brand across its product range. Other than on laptops, where Aorus has always been something of a separate entity, product will retain Gigabyte branding in name but Aorus will be dominant on the products themselves, going by the motherboards. As a brand mostly focussed on gaming, it will continue to have a global presence at events like DreamHack. The three main themes of Computex 2016 were RGB lighting, modding, and tempered glass. We haven't seen any tempered glass motherboards thus far, but Gigabyte's Aorus boards do focus heavily on the lighting and even a little on modding. All Aorus Z270 motherboards sport customisable RGB lighting, a feature dubbed RGB Fusion, controllable through the BIOS, the eponymous Windows-based software, and a smartphone app – we're not often fans of such apps, but we admit that it seems easier and more practical than the other two options. There are multiple programmable sections, with the top-end set sporting a dazzling array of LEDs, and they can be synchronised to other Gigabyte RGB-lit products. You can use up to eight different effects including ones which synchronise to your PC's audio output or respond to different component temperatures. The design of the motherboards is sensible – a black PCB, often with white armour over the I/O area, keeps things neutral and avoids colour clashes. Gigabyte is also giving users a chance to let their PC shine elsewhere by offering RGBW headers, compatible with lighting strips that, thanks to their dedicated white signal, produce truer whites and brighter colours. All Aorus boards have at least one and the two top-tier models (Z270X-Gaming 9 and Z270X-Gaming 8) have two. It is currently the only manufacturer offering these headers, and better yet they're programmable too, so you tell he motherboard via software which pin controls which signal via a simple calibration process – this broadens compatibility as there's no real standard for the pins' order. Another simple modding-oriented touch is the swappable accent side-strip; users can 3D-print their own designs. Another highlight feature is Smart Fan 5, the newly revamped fan control software. 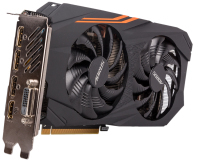 We've commented often in previous Gigabyte reviews that its older suite lagged behind Asus and MSI, but, as Antony noted in his review, Gigabyte has done an excellent job of levelling the playing field. All headers are now four-pin Hybrid Fan Headers, which allows them to automatically detect and give appropriate options for whatever device you connect. You get a whopping eight included on the top three models and a generous five on the lower three. Fans can be controlled based on the temperature not just of the CPU, but of various parts around the motherboard thanks to multiple embedded heat sensors and outputs for external ones too. Again, the feature is utilised either through the BIOS or Windows, with a GUI allowing you to map out the position of the various system fans you're using. 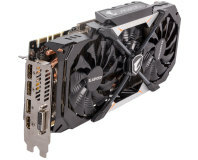 The final major feature Gigabyte is using to push its boards further into premium territory applies only to the two top-end models, the Z270X-Gaming 8 and Z270X-Gaming 9. Both of these comes with integrated VRM water blocks, with Bitspower being the OEM behind the G-Chill block on the Z270X-Gaming 8 and EKWB manufacturing the G-Frost block on the Z270X-Gaming 9. The blocks use pure copper tubing with outer aluminium shells and G ¼-inch fittings so that they're ready for easy integration into a loop. When you're buying into a premium motherboard brand, it's reasonable to expect a solid selection of high-end features. Looking at the specs, it's clear that the Aorus boards aren't short on these, although naturally Gigabyte is reserving certain features for the higher-end (and more expensive) motherboards. That said, there's a fair number of features that come with the Aorus territory as a whole, so over the page we'll outline these before highlighting some of the key differences.